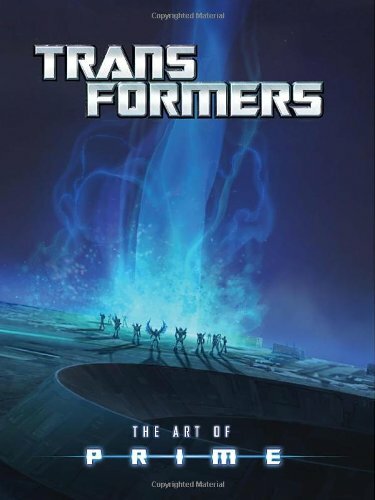 Here's the artbook for the CG animated TV series Transformers: Prime. It had three seasons plus a TV film Predacons Rising that was released in October 2013. So this artbook came out in December 2013 which is quite fast. The 208-page hardcover book is split into three parts covering the characters & prop designs, environment, and finally colour & effects as they are used in the shows. The highlight of the book is of course the character designs for the Transformers Autobots and Decepticons. They take up half the book. The designs are really cool. There are some similarities with the other shows or movies that ran before it, but it has its own unique artistic style. Perhaps because the characters are to be animated, they appear to be quite organic in design, with more curves going on. You won't mistake them for other robot franchises. Fans will love this section. There are plenty of characters to look at. And the book's quite big so they are printed big too. There are nice close ups on different body parts, props and relic designs. Transformation sequence art for several characters are included but unfortunately they are printed a bit too small. The environment background art are beautiful but I felt that many pieces can be quite dark making it difficult to see the details or maybe that's to hide the details. This would be the weak part of the book. The last part covers the art direction, talking specifically about the colours and effects. Throughout the book, there are some lengthy and insightful interviews at the end of chapters. They include interviews with David Hartman (supervising director/art director), Jose Lopez (art director/characters & props), Vince Toyama (production designer) and Christopher Vacher (visual effects art director), and also captions accompanying the concept art. Lots to read on the production side of making the animation. Overall, it's a good book to get if you're fans of the animated series, Transformers or robots in general. My quibble is the dark environment concept art pieces.